THERE HAS BEEN a 55% increase in the number of children who are registered as being homeless in Ireland. The figures also show that there was a 28% rise in adult homelessness nationwide, meaning that child homelessness is increasing at double this rate. Barnardos CEO, Fergus Finlay, said that every day, the charity sees families across the country coping with homelessness, difficulties accessing private rented accommodation and the inability to secure social housing. He said these challenges in the housing crisis are not stopping and that Barnardos knows that parents are struggling to cope with stress, uncertainty and feelings of inadequacy. “Their children are overwhelmed with how their lives have changed and they are fearful of what their future contains. Upon becoming homeless, imagine the trauma, fear and confusion felt by children. Imagine packing your bag and going with your family to present to the authorities as homeless,” Finlay added. 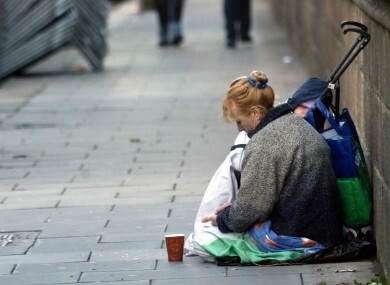 Late last month, it emerged that the number of people homeless in Ireland has passed the 7,000 mark for the first time. Email “'Imagine the trauma, fear and confusion': 55% surge in child homelessness”. Feedback on “'Imagine the trauma, fear and confusion': 55% surge in child homelessness”.